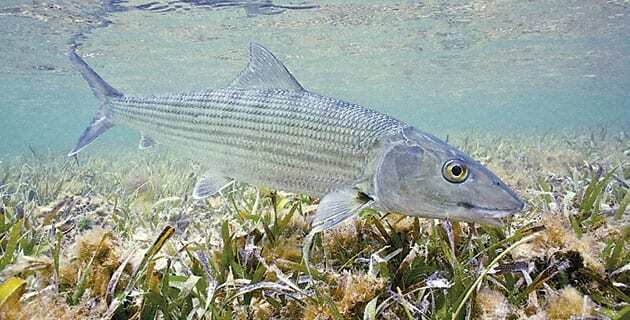 BTT has completed its multi-year Bonefish Genetics Study, the results of which provide scientific evidence that the bonefish population across the Caribbean is closely connected. The study, which launched in 2014, involved the collection of genetic samples from bonefish (Albula vulpes) in multiple locations spanning the region. With the assistance of anglers, guides, and partners, BTT surpassed its initial target of collecting 5,000 samples, ultimately receiving 13,359 from a diversity of locations, including South Florida and the Keys, The Bahamas, Mexico, Belize, Cuba, Honduras, Nicaragua, the Cayman Islands, Puerto Rico, and elsewhere. The majority of samples were from Florida, Bahamas, Cuba, Mexico, and Belize. Given that the study’s primary inquiry concerned connections to Florida, the most intensive analyses addressed Belize, Mexico, Florida, Cuba, and The Bahamas. The samples underwent a thorough analysis by BTT’s collaborating scientists at the Florida Fish and Wildlife Commission (FWC). Of the 13,359 total samples, 11,222 were used for analysis. 1,588 fish were identified as other species (remember that Albula vulpes supports the fishery), and 549 samples were too degraded for analysis and were discarded. Another level of analysis looked for sibling relationships. Bonefish (Albula vulpes) throughout the Caribbean share genetic composition to a great extent, indicating that bonefish in all of the locations that were sampled are part of a single genetic population. However, it appears that the distance between locations influences the degree of relatedness. For example, although bonefish in the eastern Caribbean share genetic composition with bonefish in the western Caribbean and Florida, fish in these locations are unlikely to be directly related. In other words, there are probably many generations between eastern and western Caribbean bonefish. The larvae of a bonefish that spawns in Vieques may end up in Honduras. When those larvae become adult bonefish and spawn, some of their larvae end up in Mexico. And when those fish spawn, some of their larvae may end up in the Florida Keys. At smaller geographic scales, the connections are more direct. There appears to be limited direct connectivity between Cuba and Florida. But when Belize, Mexico, Cuba, and Florida samples are combined, they are deemed as highly connected. There is also a high level of connectivity among islands in The Bahamas. The results of the Bonefish Genetics Study underscore the need for conservation and improved fishery management at local and regional scales that transcend international boundaries. BTT’s next steps will be to examine more closely the pathways of connection, which will bring into focus the areas that BTT and its partners need to prioritize for conservation.